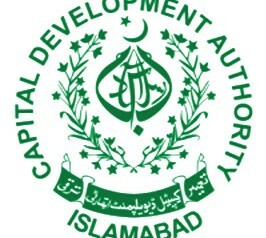 Islamabad: The Capital Development Authority (CDA) has failed to complete the development work in Sector D-12 despite the lapse of many years after the allotments of plots to the allottees. The sector was launched in 1989 and the allottees have been waiting for the completion of the uplift work in the sector for last 24 years. The contract of the development work in the sector was awarded in 2005 and work was to complete in one and a half to two years time but the same could not be finished even after the passage of eight years. The officials of the civic authority said that the development work in the sector is going on though on a very slow pace and about 65 percent work has been completed. They informed that base-work of the roads has been completed and laying of water supply, drainage and sewerage lines is underway. The officials said that possession of land for service road west and east could not be gotten so far and Land and Rehabilitation Department was not taking effective steps in this regard. Secondly, the contractor was working at a very slow pace on the project. The allottees demanded of the CDA chairman to take notice of the situation and make sure the completion of development work in the sector.